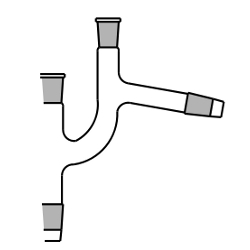 Claisen Head, Sloping with 2x(14/23) Sockets. 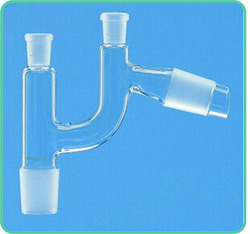 One cone fitting is for flask and other cone fitting is for condenser. A socket size (14/23) is provided for accepting thermometer and other socket size (14/23) for dropping funnel or other appratus etc. We are engaged in manufacturing and supplying a wide range of Claisen Head. These are highly durable and long-lasting.